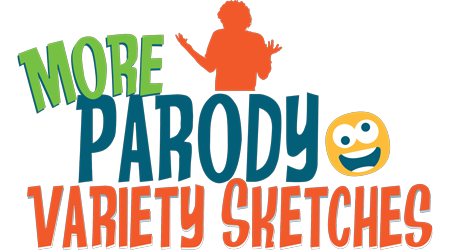 Mostly large casts allow everyone to participate in these witty parody sketches that spoof the future, phonics, food, football, feet and more. Lots of laughs for audiences and great fun for performers. Includes: Hooked on Fonics, Antiquities Roadshow, Viking Spring Training, Food Fix-up Shop, Shoelace Hut, The Guy Who Couldn’t Say No, Sleep: The Great Restorer, Air: Nature’s Inhalant, Paranoid Guy, Déjà Vu and Dysfunctional Parade. Eleven sketches in all. Skits may be used together for a complete show, mixed, matched or individually performed. Easy to stage and perform. Another delightful show from one of our most popular comedy writers.